Every Tuesday evening (9 pm EST) a group of people get together on Twitter to discuss Customer Service. You could call it a Tweet Chat, Twitter Jam or a Virtual Water Cooler. The Hashtag; the way in which participants can both filter out noise and denote participation is #custserv. I do not participate every Tuesday, but try and listen in and join in when the timing works and have been doing so for quite a while. The focus last night was on front line agents. The chats are archived, diligently by Marsha Collier, here. but just to share some quick stats regarding last night (October 9, 2012); 95 participants (give or take) and my absolute favorite zero links, in the >750 messages exchanged. But, how much can actually be shared in 140 characters? Do people simply ‘talk’ and not listen? Everyone has their own approach some topic are more spirited than others, that is for sure. Some people represent big business, some medium, some one person solopreneurs; some consultants, authors, speakers, vendors and practitioners. The egos are checked at the ‘door’ everyone has an opinion that matters. To answer my first question, yes, quite a lot can be shared in 140 characters, it does amaze me sometimes. Of course, there is the occasional ‘sound bite’ but those are becoming more rare. OK, so how important IS the Front Line Service Person? As I stated, the topic was regarding front line agents – my quick response to this was “Frontline is an attitude, not a person”. Moving beyond the soundbite, there is a series of subtopics which arise and can be discussed. When I said it, what I was thinking about was actually a bit of a technical spin, but even then there is so much more. The topic of the human element is very important and I will leave that to experts like Kate Nasser – check her work, it is time well spent. However, increasingly, the front line of your organization is technical – sometimes guided by humans, sometimes not. While I do not want to conjure images of battles, the front line of modern warfare is almost all electronic, with human input and intelligence playing a supporting role. Yes, each bit of technology should be carefully vetted, reviewed, scrutinized and checked again before deployment; but technology as the most likely front line agent is highly likely. From static websites, to FAQs and videos to knowledge bases and Integrated Voice Response systems and automatic email replies and avatar type text chats, non-humans are the only way many businesses are going to be able to scale. Because, in the end, businesses are there to make money. It is a tough, competitive, world out there and every chance they get to be more efficient will be taken. Is this about Customer Service, Customer Experience, Customer Satisfaction or Social CRM – Yes! Customer service is a mission critical, strategic, imperative, and it drives customer experience. Your products and services are evaluated every moment of every day. When the ‘evaluation’ is not going so well, the phone rings, email chimes, social networks sing. Brand performance (your brand), loyalty and customer satisfaction are driven by the experiences your customers have with your organization every day, every touch and every interaction – full circle. Service organizations, whether for product companies, constituencies or service businesses are working diligently to orchestrate experiences that are positive, engaging, meaningful and consistent across all channels and touch-points. Imagine being the maestro of an orchestra with expertise levels that range from 20 years to 1 year (nails on a chalk board…). Providing consistent experience across channels and between channels is really, really hard! Further, throw in costs (people and technology), revenue, policy and productivity and your job became even harder. First, there are systems that are “Design for sense and response.” These systems of engagement keep the ‘ear to ground’ in order to assess en masse. No transaction system was ever meant to perform this type of function. Second, in order for the response part to work, systems need to “Foster two-way, engaging conversations.” What this means is that, we must avoid the one sided, unidirectional, broadcast type conversations. In order to accomplish this, systems and people need coordination and a joined up focus. Third, if the ‘Social Web’ has taught us anything, it is that patience is a dying characteristic – You must deliver (service, answers, help, responses) in real time. Engagement systems need to focus not only on immediacy, but context as well. Users can see activity streams, real-time alerts, and notifications on all their devices. Finally, you need to reach your constituents, customers, partners and ecosystem on the channels they want, not just the ones that work for you. Your systems of interactions or engagement need to touch corporate departments, personal networks, and mobile devices. And the way in which you get this done is with a Platform built today, with an eye on tomorrow. How do you put the Systems Together? 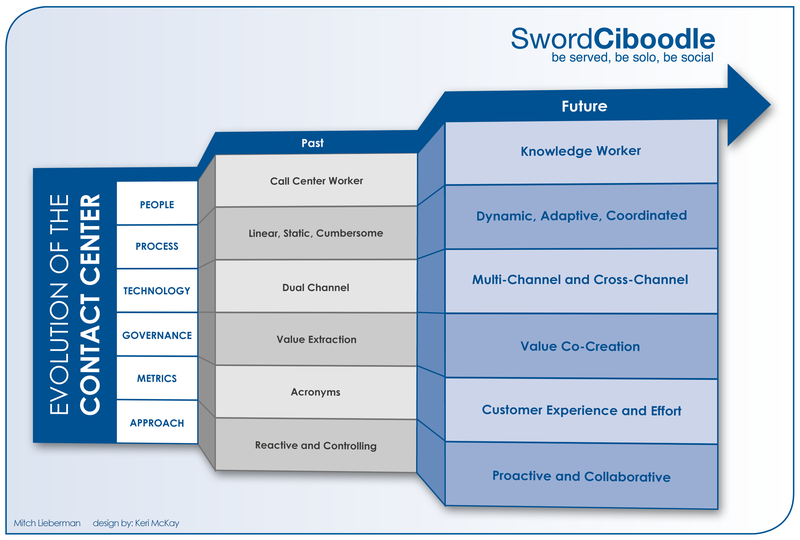 Integration needs to make things easier for the knowledge worker rather than introducing overhead and friction. The consumer Web set the baseline expectations for ease of use including mobile and tablet access. On my small phone, my contacts are linked across 4 different networks and my little device helps me get things done – are you systems integrated? Work streams and processes need to include integrated, permission based system access including activity streams and community type interactions. This is coordination and collaboration at both the human level and the system level. I need to find the people and information I need to solve a particular problem. The only way to do this is in context. Some people call this search, I like to call it find – similar but different. Hard, yes, but possible. I will leave with the following. Before I do, I would ask you to consider the following question and comment back. Is this a social issues, an analytics issue or a service issue? And to this you might say “So, What?” But, let us think about this for a moment. If a city could monitor with an operational ‘eye’ (as opposed to just analytical), the city could learn even more and might actually be able to come up with some tactical solutions, and meet the need of the constituents. Life is truly stranger than fiction. You cannot make this stuff up. But, before I go there, let me do a little compare and contrast and start with how things should be done. I made a commitment a long time ago not to simply rant, but also to tell the stories of good. This is a simple story really, as it should be. The family were up in Maine, saying goodbye to a long time family home. One day it was raining, so we decided to just head to Freeport, 15 miles away and the home of L.L Bean, among other outlets. We did not make any big purchases, just a couple pair of inexpensive sunglasses ($18 each pair). The pair my son bought lost a screw and one of the ear pieces about a week after purchase. An email, a response in 20 minutes, knowledge of my purchase, clarification of which pair broke, new pair in the mail – done. Managing a portfolio of money. We are not talking Rockefeller nor Trump dollars here, but let’s just say more than the sunglasses. Emails, phone calls, opportunities to show value and caring; nada, zilch, nothing. Days go by and I need to send another email, make another phone call. An email labeled “URGENT” – oh, I better get to that. Wait, it was something they needed and did not have everything in place. As a matter of fact, the “URGENT” issue took a week to resolve, because they forgot to send something out of the office. I am not going to even touch the legalese and bureaucracy issues, as much of that is not in their control, however, they could have made it more tolerable. I will most certainly make a purchase at L.L. Bean again, no hesitation. If the product they offer is more expensive than other locations, online or not, yes I will still strongly consider it. Did L.L. Bean “Wow” me or greatly exceed my expectations? No, not really. Wait. Huh? They exceed the norm, but like I said with a family home near the store, L.L. Bean has had consistently met my expectations of them, which of course exceed most (all) other retailers. What about the financial services firm. Business is lost, specifically that location. Is business lost to all branches of that firm, quite possibly. Will I name them publicly? Not sure yet. I may point them and some friends at this post and privately let them know it is about them. Did I take to the Social media waves with frustration and negative commentary, no I did not. I see no reason in this instance unless I call out the firms specific location. I did give props to Bean, because I felt they deserved it. Fast forward 30 odd years, and the new double act seems to be Customer Relationship Management (CRM) and Customer Experience – you can add the ‘Management’ part if you are so inclined. It seems that every conversation that starts with CRM these days, ends with Customer Experience. But they are strange bedfellows, because one is an Inside-out view of the world and the other is an Outside-in view. 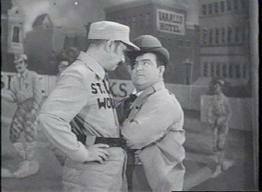 Similar to Abbott and Costello, all we want to know ‘everyone’s name on the team’. It sometimes feels like the definitions conversation many have had during the past 3 years or longer. Also, the whole ‘relationship’ bit is quite contentious. CRM can drive customer experience, but customer experience cannot drive CRM. Customer Relationship can be impacted by the experiences had with the company (Thanks Scott Rogers for that thought) That said, lessons learned and listening to voice of the customer can impact what data is stored and how to act, of course. CRM is an enabling strategy and technology, used by people inside the organization. Where CRM gets a bad rap is when people believe that CRM and SFA (Sales Force Automation) are the same thing. ‘I don’t know, third base’. They are not the same thing, SFA is an inward focused, manage the pipeline, manage sales process, manage money and very often does not do much to provide external value. Customer Experience is an SFA afterthought, it just is! How about Social CRM, does that get us closer? Customer Experience and Social CRM are not the same thing, either (again, my blog from last year). I am not going down the path of definitions, been there, done that. Social CRM is about a specific response, by companies because customers now want to have a say in the boundaries of the customer / company conversation. Social CRM takes into consideration how, when and where a company engages in the conversation will impact the experience of the customer. Interestingly, many examples of customer service done right could be called service experience, customer experience or Social CRM, take your pick, there are supporting arguments for any of the above. I also believe that the word Social is over used and more often than not people actually mean digital, topic for another day. Proper customer experience design should focus (at least in part) on what good CRM tells you to do. For example, if you are using CRM to manage complaints, the customer data should specify the type of response, the channel of the response and the timing of the response due to the customer. This is not customer experience, is it? A few of the larger analyst firms have so closely linked CRM and customer experience that a conversation about one cannot really be had without the other. Well, that is not totally true, people talking about customer experience do not seem to jump into a CRM conversation, but those talking about CRM quickly jump into a customer experience conversation, hmmm…. Just remember, if you want to know ‘Why’ – He is the left fielder… The answer is ‘Because’, the center fielder.